Screen recorders can prove useful in a whole host of situations: for showing off your gaming exploits, or for putting up a tutorial on the web, or for demonstrating the features of your brand new app. Whatever your reasons for needing to record what's on the screen, a host of applications out there will do the job for you, and with a minimum of fuss. Here we've picked out our favorites across Windows, macOS, Android, iOS and the web. Check out our list of the best free screen recorders. 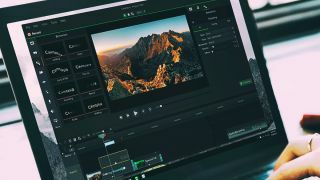 Camtasia (Windows, macOS) has been in the screen recording game longer than most, and offers more features than most too – as well as capturing what's on screen with aplomb, this fully fledged video editing solution can also add plenty of extras and edits on top too. Whatever you want to record, from games to PowerPoints, Camtasia can take it all in its stride – with or without audio, with or without a webcam feed, and so on. Annotations, extra media files, transitions, titles and more can then all be dropped in with your footage. Despite all its features, the software never feels too complex, thanks to an intuitive timeline interface. On the downside, it is expensive at $249 (about £180), but you can test it out for 30 days for free. For something cheaper and simpler, try SnagIt from the same developer studio. People who don't want to pay for their screen recorder tools tend to flock to OBS Studio (Windows, macOS), and with good reason: it lets you effortlessly blend different sources and audio tracks together, packing in features you'd usually have to spend heavily to get. Built with gamers in mind, live streaming options feature prominently, but you can just as easily save your recordings to disk. On top of that you get advanced features like noise reduction (for your voiceovers) and the ability to set transitions between your scenes. All of this is overkill if you just want to record a quick clip – and to the complete beginner, OBS Studio perhaps isn't the best of the options listed here – but you get a pile of fine screen recording and live streaming features for free, and that's difficult to argue with. Not everyone wants the hefty feature sets of the likes of Camtasia or OBS Studio, and Icecream Screen Recorder (Windows, macOS) is a more compact and friendly alternative. Fire it up, click the record button, select the part of the screen to record, and you're off. Choosing your recording area and saving your footage couldn't really be any easier, though it's not the most precise tool we've ever come across. The program lets you draw on your footage, add a webcam feed, zoom while recording, and choose your final video quality. Upgrade to the Pro version of the software (£19.95/$27), and you can break through the five-minute time limit, as well as select from more output formats, convert between formats, add watermarks, and schedule screen recordings – features which can all come in handy. Continuing the theme of smaller, simpler screen recorders, we present TinyTake (Windows, macOS). It has all the features you're likely to need, none of the fluff you don't, and is particularly good when it comes to sharing captured videos and photos with other people. As for the main capturing process itself, once you've created an account (which isn't optional), you can be recording your computer screen in a couple of clicks. Drag out the area you want to record, click the start button, and TinyTake effortlessly handles the rest. And that really is all there is to it – if you want to add annotations, or record anything longer than five minutes, you'll need to upgrade to the paid-for version of TinyTake ($29.95 or about £22 a year). For simple screen recording and easy sharing to places like YouTube, though, it's ideal. Apple macOS actually comes with some screen recording tools built in – more on that in a moment – but ScreenFlow (macOS) is a serious upgrade on what Apple's desktop software can do on its own, plus it adds a pile of handy features and extra video editing tools. For example, you can crop, pan, and zoom around different parts of your video recording, as well as add annotations and callouts on top of the footage you've captured. It's a fully featured and intuitive video editor as well as a comprehensive tool for screen recording. As for the actual capturing bit, it couldn't be any easier to use: pick your video source(s), pick your audio source(s), and away you go. Footage from your webcam can be easily added into your main video, and the whole process is slick and streamlined throughout. It'll set you back $129 (about £94) but a free trial is available. If you don't want to install extra software on your computer (well, apart from a browser extension), Screencastify (Chrome) is one of the best options. To use the extension without a watermark and for more than 10 minutes at a time, a premium upgrade ($24 or about £17 a year) is required. Just because the program is an add-on for your browser doesn't mean you're restricted to recording browser windows, although you can do that if you want. Screencastify is able to record in full-screen mode as well, and supports audio from your system or a microphone. The extension is even smart enough to embed a feed from your webcam as well, so you've got lots of flexibility, even if you don't get quite as many bells and whistles as you do with other programs. On-screen drawings and annotations are supported in Screencastify too. AZ Screen Recorder (Android) is one of the top choices for Google's mobile operating system, bringing with it easy-to-use controls, plenty of recording options, and even a lightweight video editor if you want to trim down your recordings before sharing them. Everything is handled with a little pop-up window that disappears when you start recording. You have the option to illustrate screen touches, and include microphone audio capture too, depending on what you need from your Android screen recording. Delve into the settings and you can adjust the video recording resolution, frame rate and orientation, and even add a timelapse effect if necessary. It's got just about everything you could want from a screen recorder tool on an Android device. Based on the stats in the Google Play Store, DU Recorder (Android) is even more popular than AZ Screen Recorder when it comes to Android devices. Like its competitor, you get smooth and stable screen recording, and no phone rooting or reconfiguration is needed. A small pop-up dialog lets you start and stop recording, and then you can capture everything from games to web browsing. Multiple video quality and frame rate settings are available, and you can even embed a "face cam" via your phone's front-facing camera. Simple video editing tools and easy share options are included with DU Recorder as well, so it really is an all-round package for recording screen activity on Android. What's more, you get all of it for free, with no in-app purchases and no restrictions on what you can do. You might have noticed we haven't mentioned any tools for iOS yet, and that's because Apple limits what third-party apps can do. However, iOS and macOS come with integrated tools that should be able to take care of your screen recording needs on Apple hardware. The built-in iOS screen recorder is available via the Control Center: just tap the record button to start recording. If you can't see the red, circular icon, open up iOS Settings, tap Control Center then Customize Settings, and make sure Screen Recording is included. Over on macOS you've got QuickTime: choose File, then New Screen Recording to record activity on your Mac, or connect up an iPhone then choose New Movie Recording and pick the iPhone as the source. These are simple options, but they do the job well enough.